I am traffic | "I'm not stuck in traffic, I am traffic." participation. social change. entrepreneurship. organizations and movements. technology. To further our work here at Mozilla in searching for and acting on ideas beyond the traditional bounds of our organisation, we’re building our Open Innovation team. Mozilla’s Open Innovation Team has been formed to help implement a broad set of open and collaborative practices in our products and technologies. The main guiding principle of the team’s efforts is to foster “openness by design”, rather than by default. I’m excited that we’re growing this team, hiring for two new roles. We’re looking for a community engineer who has established themselves as a leader in building successful open source software, to help Mozilla get great at open source and to contribute to advancing the state of open source more broadly. We’re looking for an expert in crowdsourcing for complex technical problems, who is excited about building a brand new, cross-Mozilla program in this area. I would love to hear from you if you’re interested in either role, or if you know someone who might be. Please reach out directly — I’m groter@mozilla.com . Have an impact on Mozilla’s mission. The answer has been consistent every time we’ve asked volunteer Mozillians what their primary motivation is for contributing to Mozilla. 3 years ago, last year, this month, “have an impact on Mozilla’s mission” is always the number one answer. What we’ve also heard over the past few months is that lacking clarity on the best areas to have an impact is one of the main things limiting contribution. When I look at this objectively, I completely understand. Mozilla is a huge and complex project, with multiple products, projects and activities, and we’re right now in a constant state of change as Mitchell recently articulated nicely. To exacerbate the situation, we haven’t been very good at clearly communicating where Mozilla is heading. Our much needed effort to reinvent participation at Mozilla has added yet more ambiguity to the mix. As a Participation Team, we’ve made some progress on bringing more clarity, and have laid out a broad strategy for 2016. But this isn’t enough. We need to do better. We need to help Mozillians know where they can apply their skills, time and passions to have an impact on Mozilla’s mission. My teammate Rosana Ardila had a great analogy that I’ll borrow: We once had a delicious, well laid out food buffet of contribution and impact areas at Mozilla. But that food has been sitting out for quite a while. Some of it is stale. Some of the dishes aren’t even on the menu anymore. We’ve moved around the serving stations so that some are sitting in a dark corner that nobody can find. Some of the food is still really tasty and just needs a flame lit underneath it … okay, I’ll stop killing the analogy! Over the next couple of months we’re going to refresh this participation buffet. We’re going to do this by both designing and rolling out some new, high impact and well designed contribution areas and campaigns, in partnership with teams around Mozilla. And we’re also going to curate and highlight fantastic contribution opportunities driven primarily by other teams. We need all Mozillians (employees and volunteers) to help with this, by helping to build, highlight and lead great areas of participation. Please get in touch with your thoughts and ideas (groter@mozilla.com). Our filters for what makes it into the buffet are simple and what we have come to understand will represent outstanding participation at Mozilla. Help Mozilla innovate, driving the leading edge of our work and thinking. Extend Mozilla’s reach, by bringing Mozilla products, ideas and issues to more people, and connecting more people with Mozilla. Second, we will highlight contribution opportunities that have a well designed participant experience, and that have thought-through methods for bringing value to both Mozilla’s mission and to Mozillians. To be clear, these opportunities won’t each be applicable to everyone; most will require a specific set of interests or backgrounds. We do want to make sure that the full buffet will provide opportunities for a diverse range of participants and plenty of opportunities for people to build new skills. Third, we know that we don’t have the next phase of Mozilla figured out — far from it! So activities that help us learn about the future of participation at Mozilla are a priority. And by definition, that will mean trying things out that may not work. How about a sneak preview? What can you get involved with RIGHT NOW!? There’s a couple ready right now, and many more that we’ll highlight soon on Discourse and the Wiki page above. Dino Tank London – We want you to pitch problems that are worth solving at Mozilla! This opportunity closes on May 27th, but will be refreshed again in June/July. Open Comms: Making Encryption Mainstream – submit ideas on how to educate people around the world or in your community about the importance of encryption. This closes on June 3rd, but Open Comms will have many more opportunities coming soon. Please do let me know what you think of the above. Does it resonate? Do you have areas you’d suggest we highlight or build for? What else might be missing from our approach? Head over to this conversation on Discourse to share your thoughts and ideas. The Participation Team was created back in January of this year with an ambitious mandate to simultaneously a) get more impact, for Mozilla’s mission and its volunteers, from core contributor participation methods we’re using today, and b) to find and develop new ways that participation can work at Mozilla. This mandate stands on the shoulders of people and teams who lead this work around Mozilla in the past, including the Community Building Team. As a contrast with these past approaches, our team concentrates staff from around Mozilla, has a dedicated budget, and has the strong support of leadership, reporting to Mitchell Baker (the Executive Chair) and Mark Surman (CEO of the foundation). For the first half of the year, our approach was to work with and learn from many different teams throughout Mozilla. From Dhaka to Dakar — and everywhere in between — we supported teams and volunteers around the world to increase their effectiveness. From MarketPulse to the Webmaker App launches we worked with different teams within Mozilla to test new approaches to building participation, including testing out what community education could look like. Over this time we talked with/interviewed over 150 staff around Mozilla, generated 40+ tangible participation ideas we’d want to test, and provided “design for participation” consulting sessions with 20+ teams during the Whistler all-hands. Toward the end of July, we took stock of where we were. We established a set of themes for the rest of 2015 (and maybe beyond), are focused especially on enabling Mozilla’s Core Contributors, and I put in place a new team structure. Focus – We will partner with a small number of functional teams and work disproportionately with a small number of communities. We will commit to these teams and communities for longer and go deeper. Leaders – As a small staff team, we can magnify our impact by identifying and working with volunteer leaders around Mozilla (those Mozillians who engage and influence many more Mozillians). This will start with collecting information about our communities and having 1:1’s with 200+ Mozillians, and proceed to building more formal leadership and learning initiatives. Learning – We’re continuing the work of the Participation Lab, having both focused experiments and paying attention to the new approaches to participation being tested by staff and volunteer Mozillians all around the organization. The emphasis will be on synthesizing lessons about high impact participation, and helping those lessons be applied throughout Mozilla. Open and Effective – We’re investing in improving how we work as a team and our individual skills. A big part of this is building on the agile “heartbeat” method innovated by the foundation, powered by GitHub. Another part of this is solidifying our participation technology group and starting to play a role of aligning similar participation technologies around Mozilla. You can see these themes reflected in our Q3 Objectives and Key Results. The Participation Team is focused on activating, growing and increasing the effectiveness of our community of core contributors. Our modified team structure has 5 areas/groups, each with a Lead and a bottom-line accountability. You’ll note that all of these team members are staff — our aim in the coming months is to integrate core contributors into this structure, including existing leadership structures like the ReMo Council. This is made up of Rosana Ardila, Lucy Harris, Brian King, Pierros Papadeas, William Quiviger and myself. If you’re a staff/functional team or volunteer team trying something new with participation, please get in touch! If you’re a core contributor/volunteer, take a look at these volunteer tasks. If you have ideas on what the team’s priorities should be over the coming quarter(s), please send me an email — . As always, feel free to reach out to any member of the team; find us on IRC at #participation; follow along with what we’re doing on the Blog and by following [@MozParticipate on Twitter](https://twitter.com/mozparticipate); have a conversation on Discourse; or follow/jump into any issues on GitHub. It’s official. I’m here at Mozilla for the indefinite future with a title of Head of Core Contributors, Participation. Basically, I’m responsible for enabling a team of volunteers and staff to grow the size and impact of our community of most-committed volunteer Mozillians. The past 150 years has brought the greatest advances in freedom and opportunity in human history. It has also brought (a) existential, complex global and local challenges, and (b) a centralizing of power. Centralized power cannot solve, and is often the cause of, these existential challenges. The web is the single greatest (and maybe only) chance humanity has to address these challenges, because it can decentralize power and unleash the human ingenuity of millions of people. But the web itself is being centralized and made less open. From locked-down content, to ring-fenced platforms, to the advertising/ economics of the web, to technology stacks. The largest and most powerful organizations and governments in the world are eroding the openness of the web. Mozilla is probably the world’s best chance to reverse this trend. We are the only organization in the world that is championing a vision of openness on the web, has the scale to achieve it, and as a mission-driven, not-for-profit doesn’t have its purpose corrupted by shareholders and profit motives. At the same time, this is such a wildly ambitious organizational vision that only a movement of talented people working together — volunteer Mozillians and our allies — has a chance to see this vision become a reality. What’s truly energizing about my role is that the Mozilla brand, user-base, financial resources and mythology is a platform to build a participation function that can scale to directly enabling millions to take actions aligned with their own passions and beliefs. This can be at the leading edge of what anyone has done before in organizing people globally and locally. And when we are successful, the web will be the platform we need to address humanity’s most pressing challenges. Finally, to quote a great Canadian Marshall McLuhan, “the medium is the message”. The pattern of working that Mozilla is pioneering is transformative (or will be with the organizational changes that have been articulated in the vision of radical participation) — open, self-organizing and adaptive, creativity from the edges, distributed leadership and voice, each and every Mozillian accountable to each other and for the whole. At a meta level, these are key to the broader global social justice changes I believe in. This pattern, and its impact on the millions of deep relationships we can build through participation, may be another of Mozilla’s enduring legacy and impact. I gave this address at the McMaster University Engineering Convocation, on June 12, 2015. Thank you Chancellor Large. President Deane. Provost Wilkinson. Dean Puri. Honoured guests. Distinguished faculty. Fellow graduates and honorees. And, most importantly, parents. I wanted to start with a very exciting personal announcement. An accomplishment that I think you can all relate to. Here it is: This month, this very month, I will have paid off all of my student loans. So that’s something you can look forward to. 16 or 18 or 20 years from now. You too might have finished paying for your University education. Really, student loans are a monthly reminder of the great value of your education. What else can you look forward to? And what does that mean for you now? As I was thinking about this day, I racked my brain, thinking about the past 16 years, thinking about my 22 year old self, and what would have resonated with him. One thing came to mind. Rogaine. What I realized is that I certainly have a distorted, imperfect memory of my 22 year old self. I don’t know what I was thinking about. What I was dreaming about. What I was feeling as I sat where you sit now. I also realized that I almost certainly have a distorted view of the past 16 years, the choices I made and the what I wished I would have known. I see the past through either rose tinted glasses or a darkened lens, depending on how I’m feeling about myself and my ambitions, how I’m feeling about others and the world. And everyone’s path through life is different. But life has a funny way of collecting wisdom, little souvenirs that you pick up on the side of the meandering road of life. Now — to kill the metaphor for a moment — some of these souvenirs turn out to be cheap plastic trinkets — that ridiculous fridge magnet I bought in Prague with a built-in thermometer. On the other hand, some of those souvenirs of wisdom turn out to be pure gold. There are two pieces of wisdom, which I consider pure gold, that I will offer you today. First, beware accepted truths. Beware the hidden pressures of society. Beware the status quo. It’s all around you. You’ll experience it in the most overt ways. When your first manager tells you that “we don’t do it that way in this company,” and you realize for the first time that the cubicle you were assigned is not just a physical space, but also a metaphor for how your ideas will be confined. I certainly experienced this when we were starting Engineers Without Borders. We were welcomed to work on issues of poverty and inequality, but only if we sat our cubicle of technical expertise. Thankfully, we didn’t listen. And now this organization is amongst the world’s most impactful organizations working to address the most pressing challenges in food and water and small business development. Amongst the most powerful advocacy organizations in Canada. Engineers. Standing up and speaking. Articulately. Imagine that. Well, thousands around Canada and in Africa did and do. But only because we ignored the naysayers. Disobeyed accepted truths. Refused to submit to the status quo. I won’t pretend that it doesn’t take courage to behave in this way. It does take courage. You may run off in another direction, arms waving excitedly, yelling follow me, follow me. And turn around a year later to find yourself alone in the wilderness. Failure is most certainly one outcome. But just remember, you could take the most secure job you can imagine, optimizing the production line at Dofasco for example. And in 3 years you might have a pink slip waiting at your desk, as ArcelorMittal has decided to downsize the Hamilton operation. If failure is always a possibility, why not follow your heart and your passion? Why not challenge the status quo? Of course, you can only challenge these accepted truths if you know they are there. The subtle pressures are much more insidious. These are hidden forces that erode possibility and guide our behaviour without us even realizing. The ads that surround us with supermodels, reminding us all of our physical inadequacy. The separate girl and boy sections of Toy R Us. The hundreds of times in the past weeks that you’ve been asked “what job are you heading to?”, implicitly delivering the message that perhaps taking the next few years off to roam the world or volunteer with a charity would be deviant. Or at a macro level. Issues are framed as poverty reduction strategies, or climate change mitigation plans. Climate change mitigation. Why are we satisfied with accepting the inevitability of forever shifting the weather patterns of our earth? Of placing billions of people’s livelihoods at risk? It’s like going to a friends house, picking up an expensive antique vase and saying “sorry, I’m about to smash this to smithereens by throwing it on the ground. But have a really great broom that can pick up at least 70% of the pieces.” No. I want my antique vase. I want my daughter to have a livable earth when she grows up. But these hidden pressures change the frame — mitigation and reduction — and it’s cozier to just accept them as truths. This is the point when I appeal to your engineering training and engineering instincts. While each one of us brings a different set of skills and personalities to this profession called engineering, there are at least two common traits between us. It’s not coincidental that these are the two most powerful antidotes to the status quo. Engineers have a long and proud tradition of heresy. Of asking piercing questions. Of calling out doctrine as outdated or irresponsible. And, most importantly, of offering a creative and different way forward. I implore you to lean into this tradition of being curious and creative in the face of accepted truths and the status quo. My second nugget of wisdom: Your values will drive your choices, and your choices define your life. Let’s dig into this a little more. Certainly there’s a scientific approach to making great decisions — considering multiple options, getting different perspectives, performing data driven analysis. Our training as engineers prepares us extraordinarily well for most choices you will face. However, there’s an entire class of decision that, I would argue, your engineering education did a terrible job of preparing you for. These are things like: Where should I work? Should I report this questionable practice in my company even though doing so is risky for my career? Should I be a vegetarian? Where should I buy groceries from? Boxers or briefs? Or maybe commando? These decisions operate on a different plane than logic. And we make most of them unconsciously, our default settings taking hold. This is why bringing your values to the fore are so critical. Practically, it’s about, first, choosing to decide more often about things that seem “settled” — like where you buy groceries. Then, when faced with a choice, just close your eyes and picture yourself a week or two after the choice is made. Picture yourself standing in front of a group of Kindergartners and explaining that choice with passion. Picture how you would feel. That’s your intuition. And your intuition reflects your values. What I can say is this: The only decisions I truly regret from the past 16 years are decisions when I went against my intuition; decisions that did not ultimately align with my values. Those are my two nuggets of gold: Beware the status quo. And make values-based choices. Let me leave you with a couple of parting thoughts. First, life has a way of picking up the momentum of an 18-wheeler hurtling downhill without brakes. Today you’re graduating, and tomorrow you’re 57 years old with teenage kids and a house in Dundas. Those nuggets of wisdom and other souvenirs that you pick up along the way get lost in the noise of living. My advice: Set yourself a tripwire. Many tripwires. They might be a yearly letter to yourself. A camping trip each summer. A friend who will ask you tough questions. A sabbatical every 5 years. For me, all of my computer passwords are names of people in Ghana and Zambia and Malawi who remind me daily of my life’s purpose. Find your tripwires, set them, protect them. If you do, you’ll wake up at 57 years old with no regrets and a life that you will make you proud. Fellow graduates. We are at a key moment in human history. We are among the most privilged and fortunate people in the world, living in the greatest, most humane and most diverse country in the world. Graduating from a tremendous University. Fellow graduates, let us have the finger of history point to our generation, on the engineers of our generation, as the ones who stepped up. Who made values-based choices. Who worked on problems that matter to our world. I know you have it in you. I wish you luck and skill and courage. I’m excited to introduce the Mozilla Participation Lab, an initiative across Mozilla to architect a strategy and new approaches to participation. As Mitchell articulated, people around Mozilla are deeply invested in the question: how can participation add even more value to the products and communities we build that are advancing the open web? Across Mozilla there’s a flurry of activity aimed at answering this question and increasing participation. Mitchell framed the scope of this exploration as including three broad areas: First, strengthening the efforts of those who devote the most energy to Mozilla. Second, connecting people more closely to Mozilla’s mission and to each other. And third, thinking about organizational structure and practices that support participation. The Mozilla Participation Lab is designed to strengthen and augment the efforts and energies that Mozillians are devoting to this exploration in the months ahead. If you count yourself as one of those Mozillians who is working on this problem, my hope is that you’ll see how the Mozilla Participation Lab can be relevant for you. Many more people working on Mozilla activities in ways that make Mozilla more effective than we can imagine today. An updated approach to how people around the world are helping to build, improve and promote our products and programs. A steady flow of ideas and execution for programs, products, and initiatives around the world—new and diverse activities that move the mission forward in concrete ways. Ways for people to participate in our mission directly through our products—there is integration of participation into the use and value proposition. Ultimately: more Mozilla activities than employees can track, let alone control. While this vision describes where Mozilla wants to be, how we’re going to get there still needs to be figured out. The how is an important and explicit goal in the participation plan for 2015: Develop a bold long-term plan for radical participation at Mozilla. This is the goal you’ve heard Mitchell and Mark talking about, and they’ve hired me to get this work going over the next 6 months. Initially, they talked about this goal being pursued by a task force—a group of people who could go away and “figure this out”. But as we started to build this out, a task force didn’t feel right. What is the Mozilla Participation Lab? Concretely, the Lab will have three related sets of activities. The Participation Team will initiate experiments, after consulting and coordinating with product/functional teams and volunteers, around particular hypotheses about where participation can bring value and impact in Mozilla. All of these experiments will be designed to move a top-line goal of Mozilla (the product side of the virtuous circle), and give volunteers/participants a chance to learn something, have impact or get some other benefit (the people side of the virtuous circle). If the experiments work, we’ll start to see an impact on our product goals and increased volunteer engagement. These experiments will be built in a way that will assess whether the hypotheses are true, what’s required for participation to have impact, and what the return on investment is for our key products and programs, and for Mozillians. For example, many in Mozilla have articulated a belief that participation can enable local content to make our products better and more relevant, and so we are working on a series of experiments in West Africa alongside the launches of the Orange Klif. If these are successful, they will have had an impact on Firefox OS adoption while building vital, sustainable communities of volunteers. In order to identify these experiments, our team has already talked with Mozilla staff and volunteers from all over the organization, plus Mozilla’s leadership (staff and volunteers). Here’s a long list of rough ideas that came out of these conversations; we obviously need to make some choices! Our aim to is settle on and launch a first set of focused experiments over the next couple of weeks. I’ve had conversations with roughly 100 Mozillians over the past couple of months and realized that, in true Mozilla distributed style, we’re already trying out new approaches to participation all over the world. Buddy Up, TechSpeakers, Mozilla Hispano, Clubs, Marketpulse are just a few of many many examples. I’m also confident that there will be many more initiatives in the coming months. My hope is that many of these initiatives will be part of the Participation Lab. This will be different than the focused experiments above in two ways. First, the Participation Team won’t be accountable for results; the individual initiative leaders will be. Second, they can probably be lighter-weight experiments; whereas the focused experiments are likely to be resource intensive. How does an initiative fit? If it meets two simple criteria: (1) it is testing out a set of hypotheses about how participation can bring value and impact to our mission and to Mozillians, and (2) we can work together to apply a systematic methodology for learning and evaluation. We will work together to apply a systematic learning and experimenting methodology (documented here). You can unlock support from the Participation Team. This could be in the form of strategic or design advice; specific expertise (for example, volunteer engagement, building metrics or web development); helping you gather best practices from other organizations; or small amounts of money. We do have limited staff and volunteer time, so may need to make some choices depending on the number of initiatives that are part of the Lab. Your initiative will make a significant contribution to Mozilla’s overall participation strategy moving forward. We will bring together experts and capture world-leading ideas about participation from outside of Mozilla. This is a preliminary list of people we are aiming to reach out to. In short, a broad set of Mozillians will be supported by a smaller team of staff and volunteers from the Participation Team. This team will coordinate various experiments in the Lab, curate the learning, build processes to ensure that all of this is working in the open in a way that any Mozillian can engage with, and make recommendations to Mozilla leaders and community members. What’s the result, and by when? An evidence-based analysis of the effectiveness of specific participatory activities. Recommendations on how we might expand or generalize the activities that provided the most value to Mozilla and Mozillians. A preliminary assessment of the organizational changes we might consider in order to gain an even greater strategic advantage from participation. A set of learning resources and best practices packaged in a way that teams across Mozilla will be able to use to strengthen our collective participation efforts. Possibly, a series of strategic choices and opportunities for Mozilla leaders and community members to consider. The first set of activities will take place primarily in Q2, wrapping up by early July, at which point we will assess what’s next for the Lab. 1) Be part of the team. 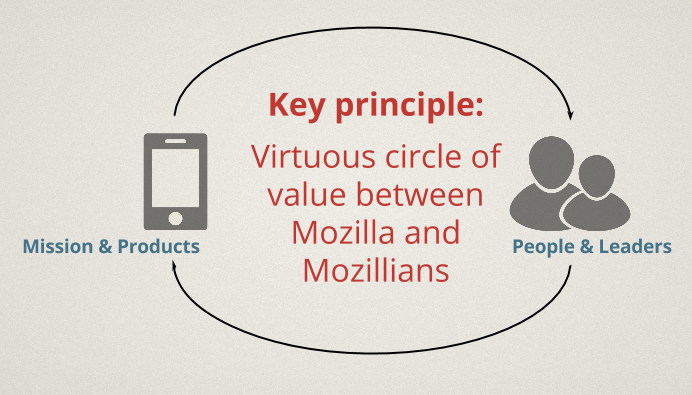 Do you want to have a big hand in shaping how Mozilla moves ahead on participation? In the coming couple of weeks we’ll be starting some focused experiments. If these are problems you’re also excited about (or are already tackling), please get in touch. We’re certain that coders, marketers, project managers, designers, educators, facilitators, writers, evaluators, and more can make a big difference. Also, if you’re interested being part of the learning team that is tracking and synthesizing lessons from inside and outside Mozilla, please get in touch. 2) Are you already running or planning a new participation initiative, or have an idea you’d like to get off the ground? Could you use some help from the Lab (and hopefully volunteers or other resources)? I’d love to have a conversation about whether your initiative can be part of the Participation Lab and how we can help. 3) Can you think of someone we should be talking to, a book or article to read, or a community to engage? Pass it along. Or better yet, help us to get in touch with people outside of Mozilla or summarize the key lessons for participation. 4) Follow along. We’d like many Mozillians to share their feedback and ideas. We’ll be working out in the open with a home base on this wiki page. Let’s together use this Lab as a way to architect an approach to participation that will have a massive positive impact on the web and on people’s lives!